When you want to avoid cross-contamination, it's important that you use strong disposable gloves. 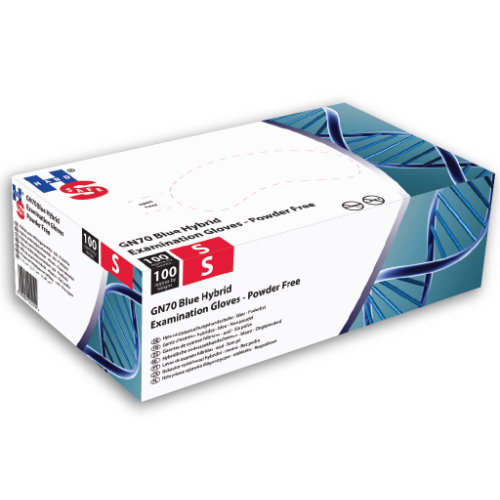 The Hand Safe GN70 Powder-Free Hybrid Examination Gloves (Pack of 100) use the latest hybrid technology to combine the strength of two materials. This tests the gloves to ensure they protect you against liquid penetration and micro-organisms. These particular GN70 Hybrid Examination Gloves received an AQL rating of 1.5, meaning that they obtained a performance level one in this area. The GN70 Hybrid Examination Gloves are designated Category III gloves, meaning that they should be suitable for most high-risk tasks. Random samples of the gloves are filled with one litre of water and examined for leaks, making them ideal for avoiding cross-contamination in the medical, security and food industries. 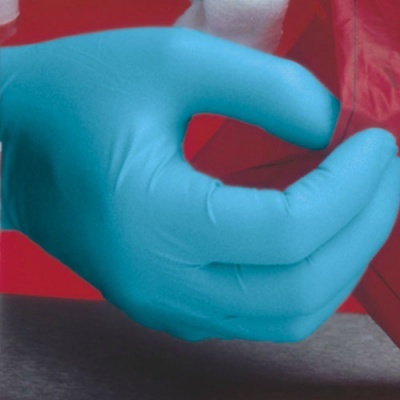 The GN70 Examination Gloves are available in four sizes. Please measure your hand across the widest part of your palm and refer to the sizing table below to find out which size will fit you best.